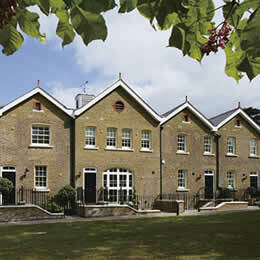 The stable blocks are an architectural highlight of many fine old country estates, and Holwood is no exception. The Courtyard has been designed to extend the original Georgian stables and create a selection of beautiful homes. There are a mix of 5 two and three bedroom houses, 5 three bedroom cottages and 6 two and three bedroom apartments, each with its own garaging.